Normally, we strongly advise against DIY plumbing. It may even be illegal! However, there are a handful of instances where it might be a good idea to do some quick fix-ups of your own – as long as you follow up by making a call to an emergency plumber in Prahran, of course! One such case is when you encounter a burst, cracked or broken pipe. Every second counts when you run into one of these problems as you wait for your emergency plumber to arrive. Luckily, there are a couple of band-aid solutions you can apply to protect yourself in the meantime. Think of this as the plumbing equivalent of first-aid – while it’s no substitute for professional help, they may stop your burst, cracked, or leaky pipes from getting worse. You can’t have a leak if you don’t have any water supply! As with many plumbing emergencies, the first thing to do when you encounter a burst or leaky pipe is to shut off your water supply. That means going outside to your water mains and cutting the flow of water. Finally, finish up by wiping down the affected section of pipe. Ah duct tape – is there anything it can’t do? Duct tape is waterproof, insanely strong in both adhesive and material, and (best of all) can be found in just about every home. So it should come as no surprise that duct tape is more than up to the task of – temporarily – patching up your burst pipes. When using duct tape to patch up broken pipes, there are a couple of rules you’ll want to follow. For starters, it’s important that you thoroughly clean and dry off your pipes first. Water and dust can impact the adhesive in duct tape, causing it to perform suboptimally. Another good piece of advice is to use several layers of duct tape wrapped tightly around the entire circumference of the pipe, creating a tighter seal. 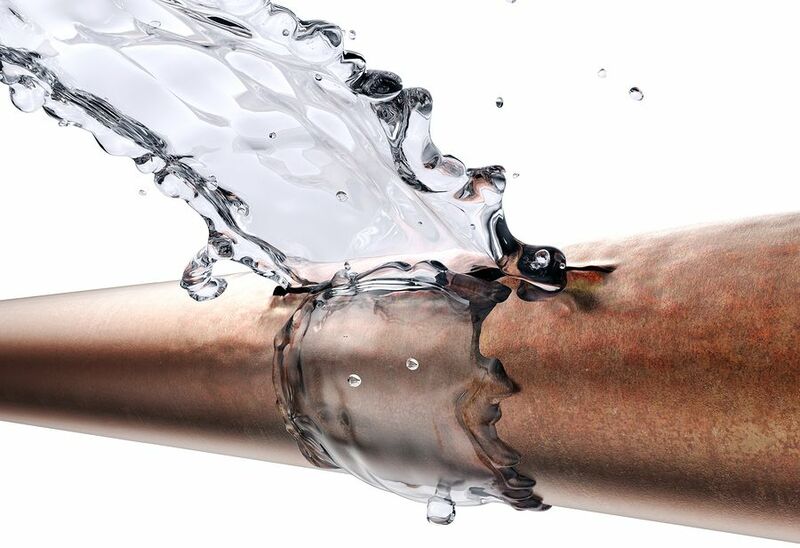 One of the biggest mistakes many people make is trying to rely on superglue or hot glue to fix up a burst pipe. In our experience, most superglue brands are water-resistant at best, and can only take the occasional splashing before losing their sticking power – not what you want happening when it comes to your plumbing! While hot glue performs better with moisture, generally speaking it doesn’t come close to the required strength needed to patch up your plumbing. While there are varieties of superglue and hot glue that are suitable for plumbing usage, we recommend using epoxy putty instead. Admittedly, not many homeowners just have plumbing clamps on-hand. If you do however, it’s time to break them out and get to work! Simple C-clamps holding your pipes together, and can be effective as a (very) short-term solution for hairline cracks or pinhole leaks when combined with waterproof materials like rubber sheets. For larger bursts and cracks, a sleeve clamp might be more appropriate. These completely cover entire sections of pipe (hence the name), making them more suited for larger bursts. Burst pipes? Call our plumber in Bayside now! While each of these fixes can protect you from the immediate consequences of a burst or broken pipe, we want to reiterate that these should only be employed as band-aid solutions. If you ask us, the best way to get around these problems long-term is to damaged section of pipe replaced altogether. And for that, you’ll need a professional on your side. Watermaster’s emergency plumbers in Bayside can help. 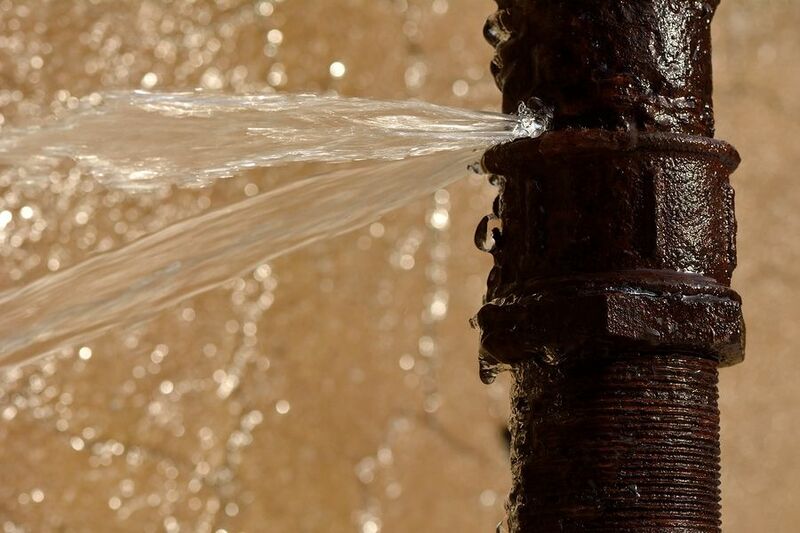 Give us a call, and we’ll send one of our experienced plumbers to your home or business to offer rapid and long-lasting burst pipe solutions. Got a plumbing emergency? Call Watermaster Plumbing for speedy fixes to your plumbing emergencies – ring 1300 156 650 for a rapid-response from a licensed and qualified Watermaster plumber. If you have a non-urgent issue or would like to ask us a question, please fill in this form and we’ll be in touch with you as soon as possible!